The Narconon Fresh Start drug withdrawal method helps individuals get off drugs as painlessly as possible using a drug-free, natural and holistic approach. The greatest lesson I learned from doing the withdrawal steps here at Lone Star Victory Ranch was to not depend on just taking a pill and being the life of the party. I also learned that I can be that same fun loving person and be sober too. I don’t need drugs to feel able to socialize and be outgoing. 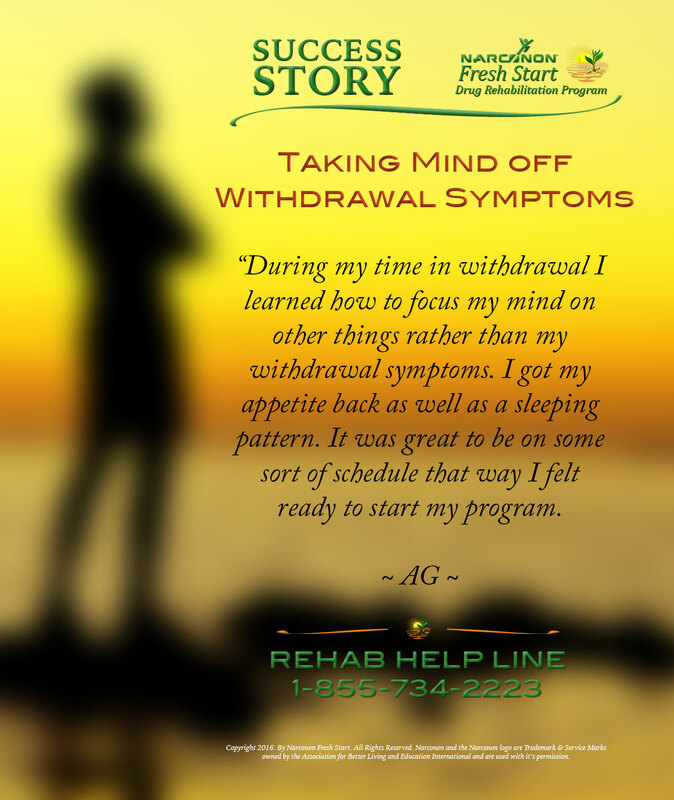 I believe that withdrawal was a success for me because it gave me time away from my normal environment; time to think about where I was in my life and where I want to be and should be as a daughter, sister, friend and most of all as a mother. It gave me time to clear my head and prepare to complete the program successfully.